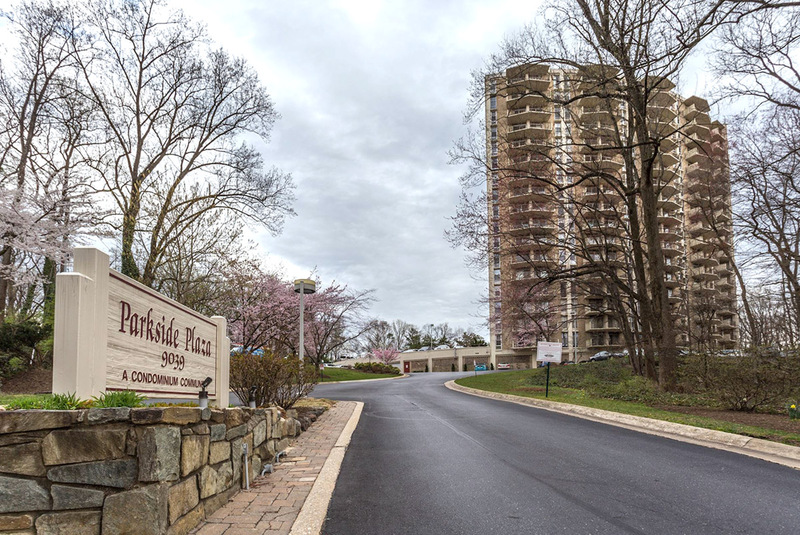 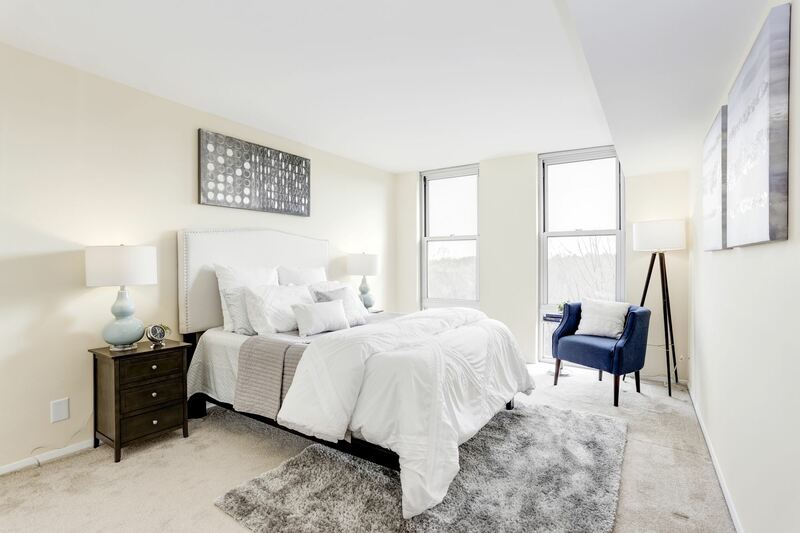 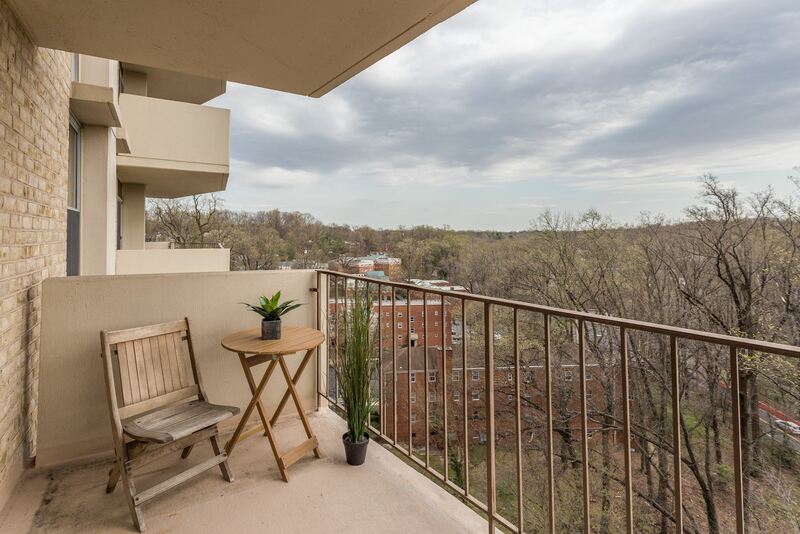 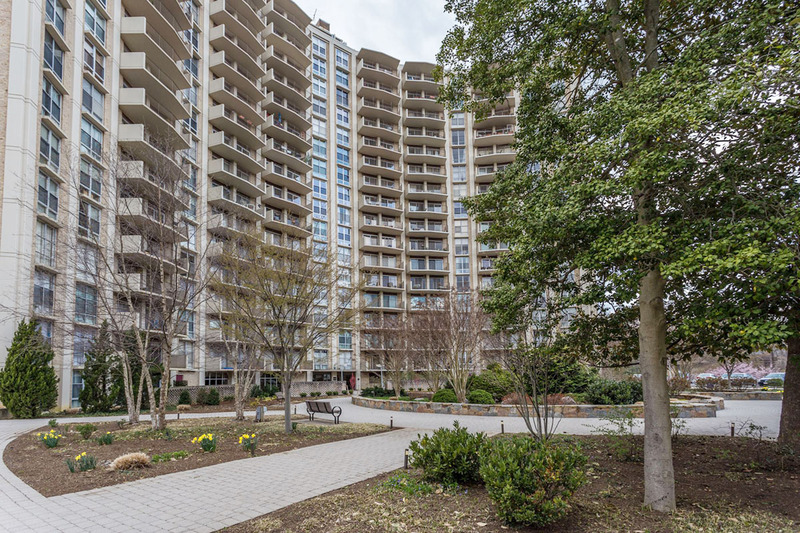 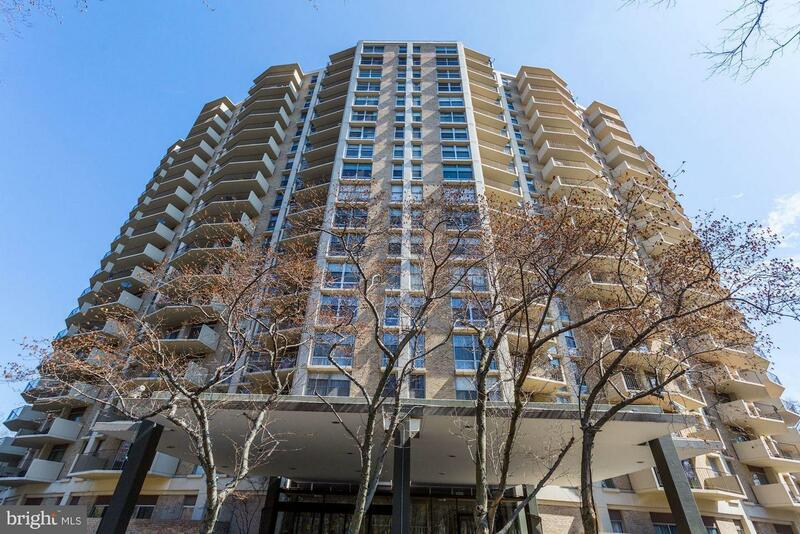 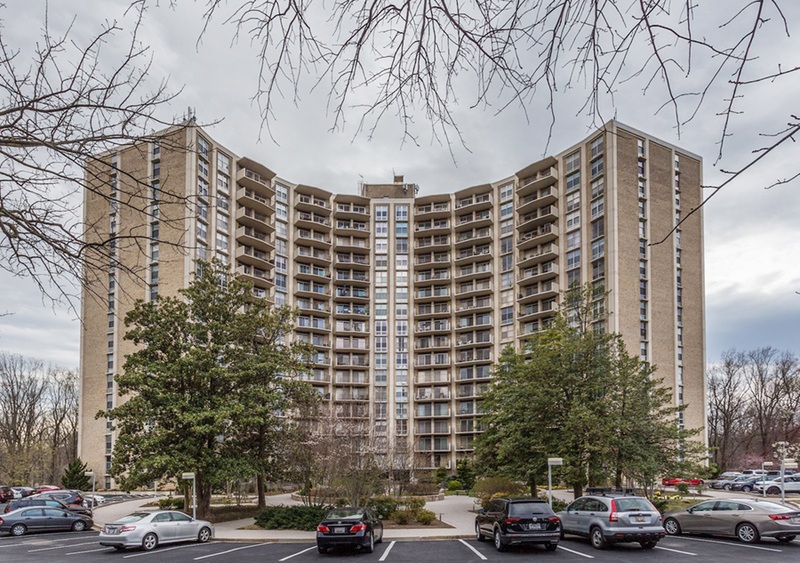 Welcome to this sunny, spacious one-bedroom, one-bath on the 9th floor of sought-after Parkside Plaza, nestled along Sligo Creek Trail and <1.5 miles from the Silver Spring Metro! 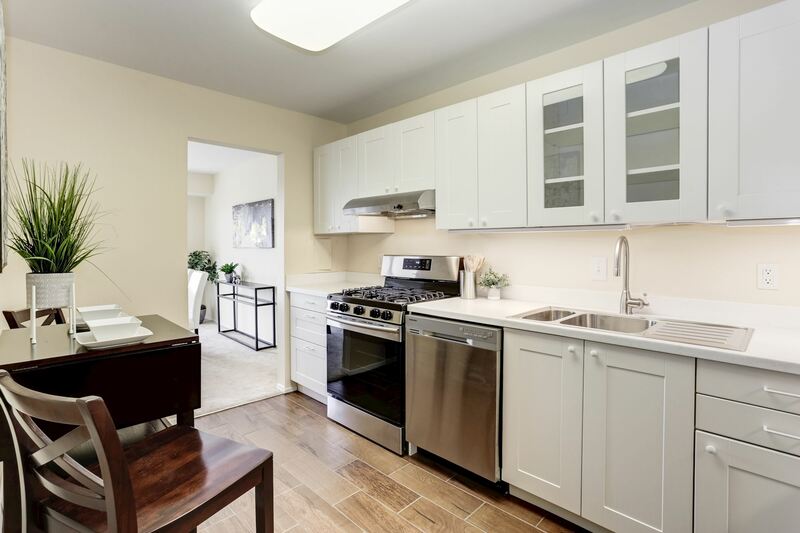 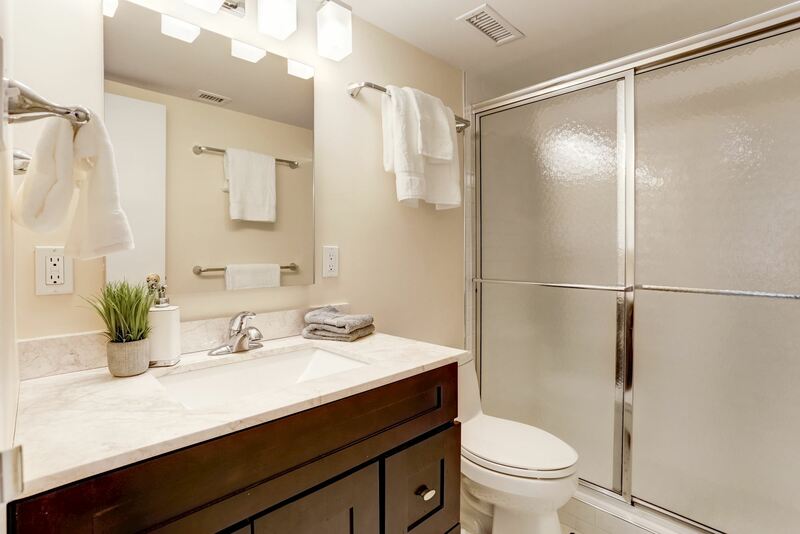 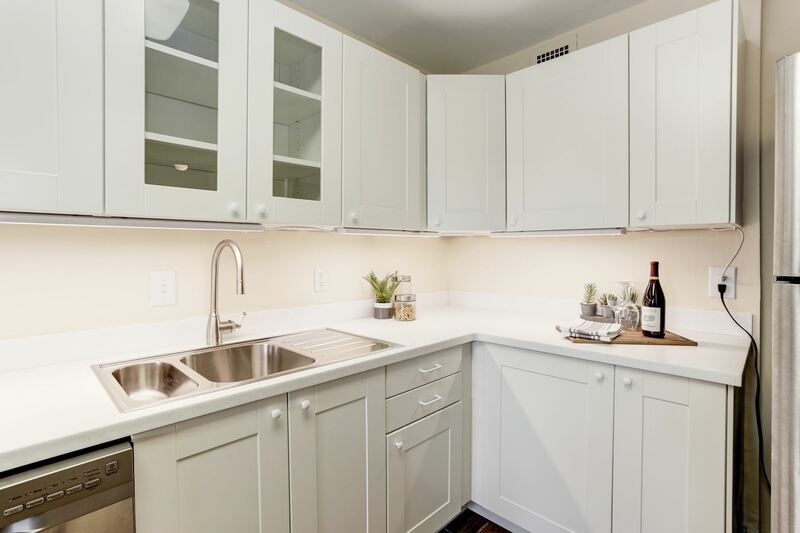 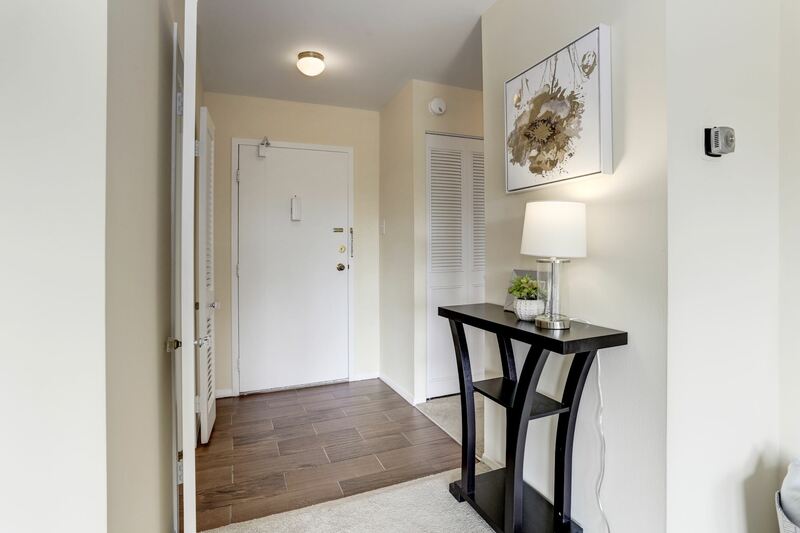 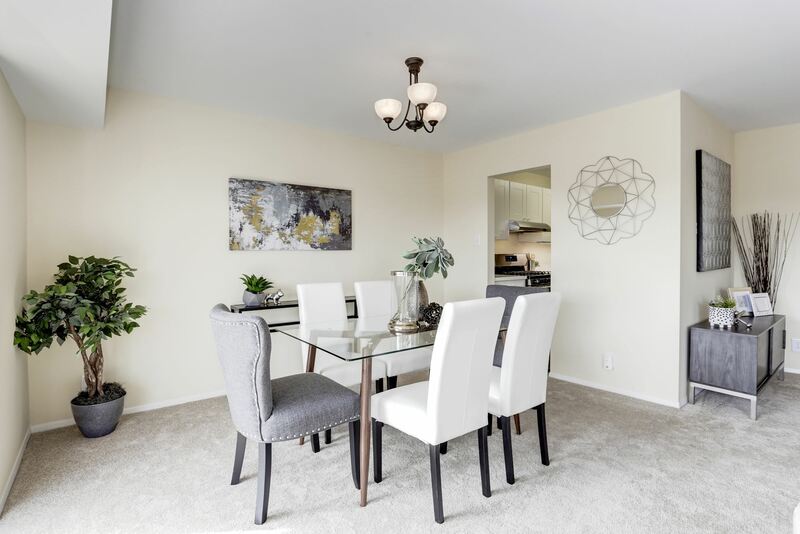 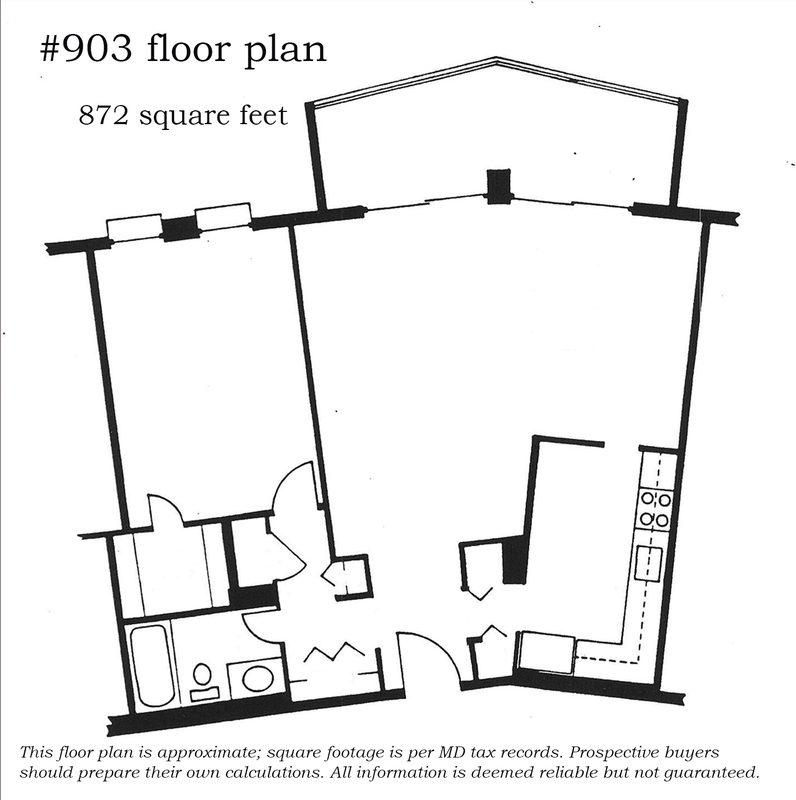 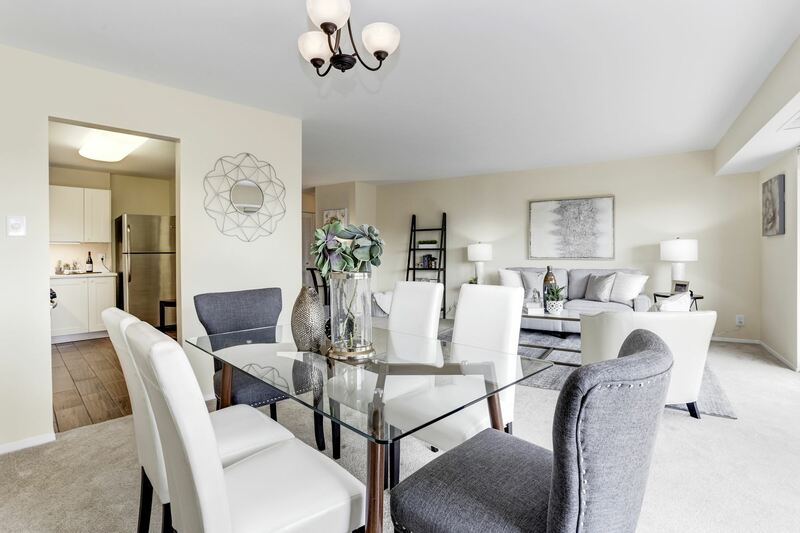 Unit #903 has been thoughtfully renovated to include a lovely kitchen with corian counters, modern cabinetry, and stainless steel appliances, as well as a fully updated bath with subway tile walk-in shower. 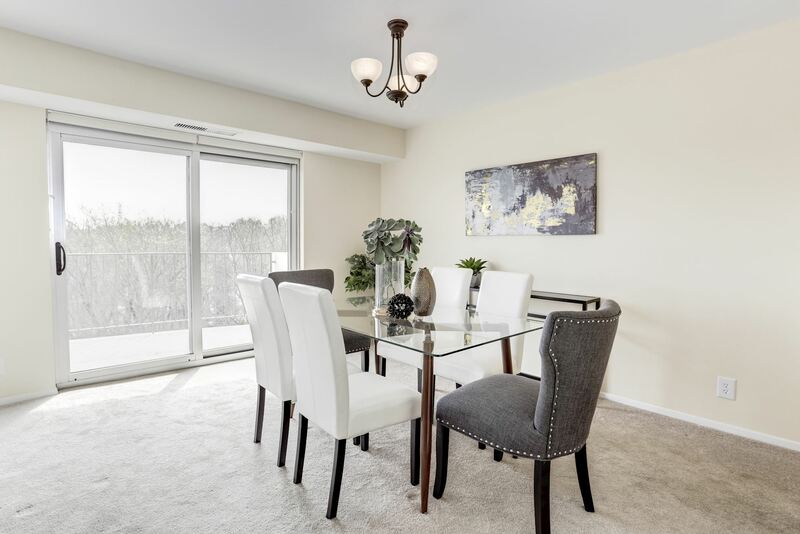 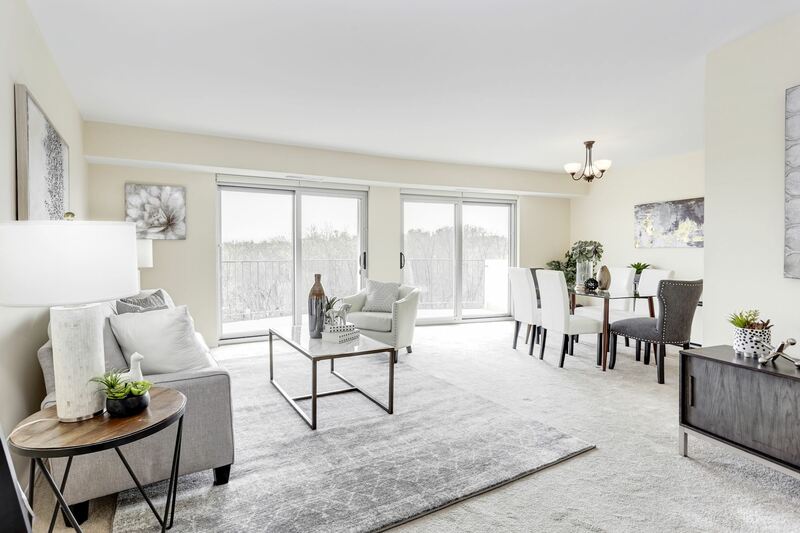 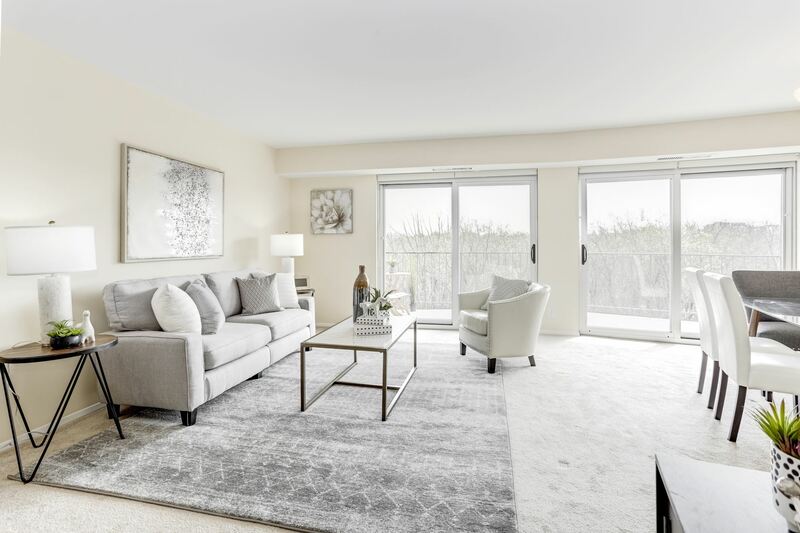 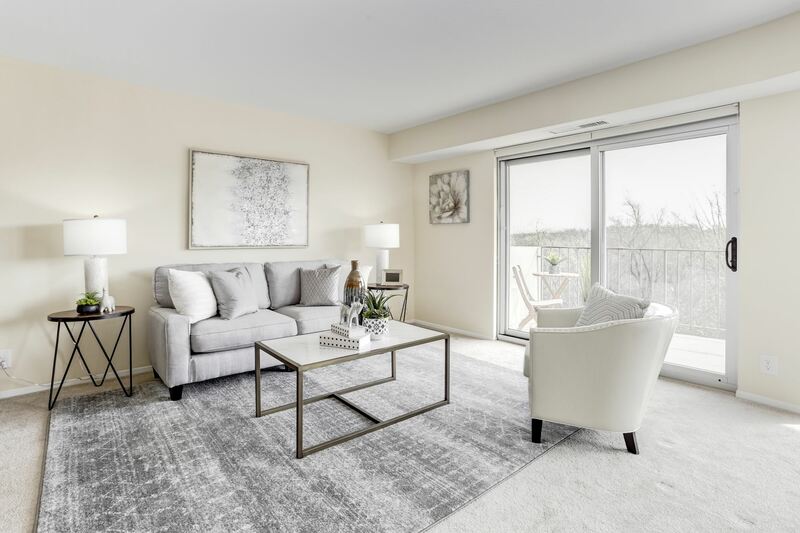 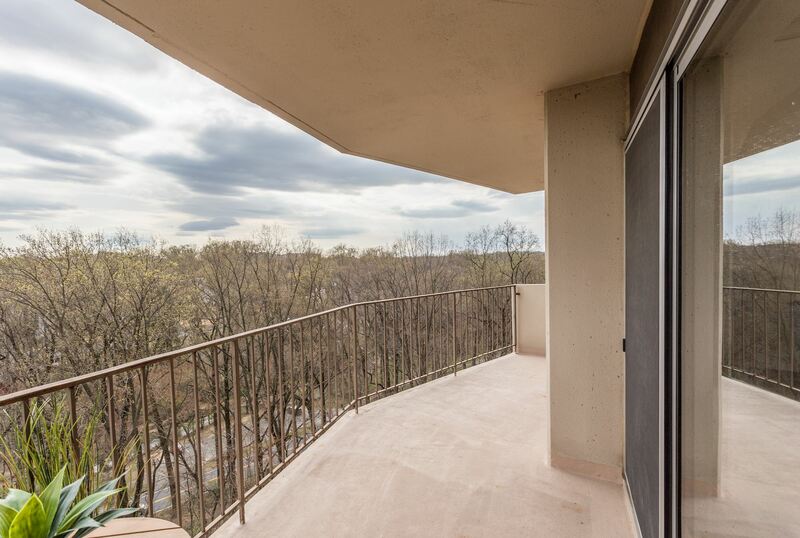 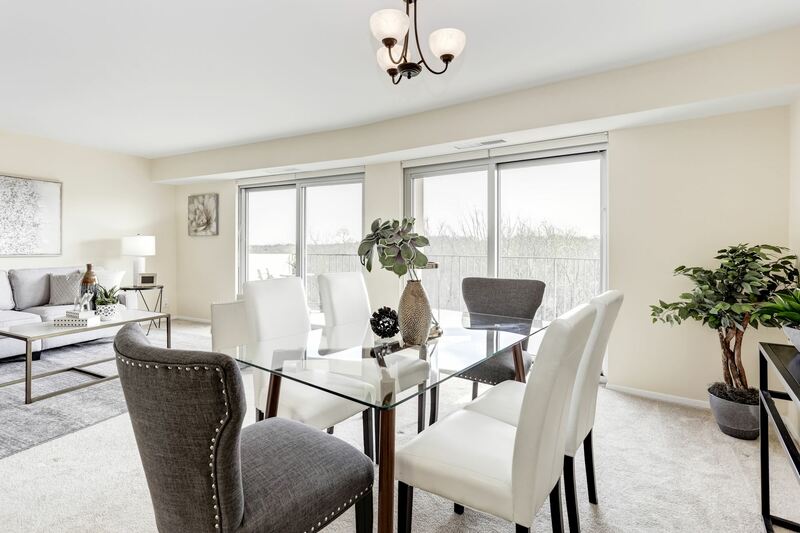 The open living room and separate dining area each offer sliding glass doors to the sun-drenched south-facing balcony with sweeping treetop views toward downtown Silver Spring and Washington DC. 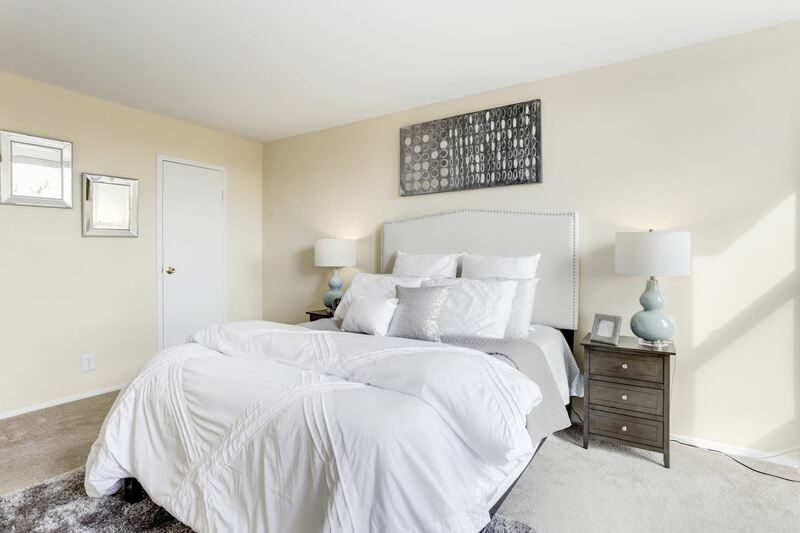 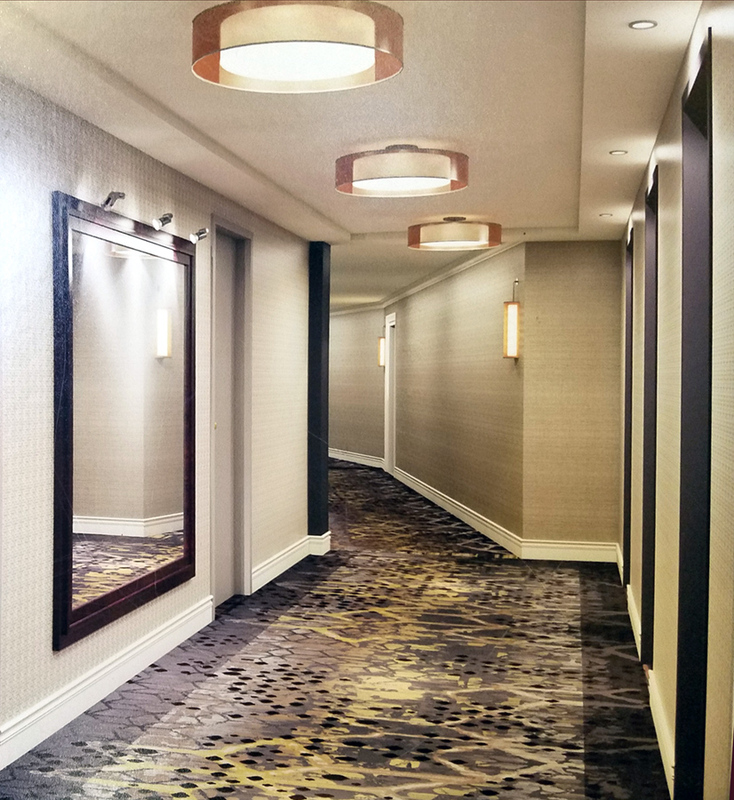 This inviting unit also offers a large bedroom with walk-in closet and ample closet space, plus extra storage in the building. 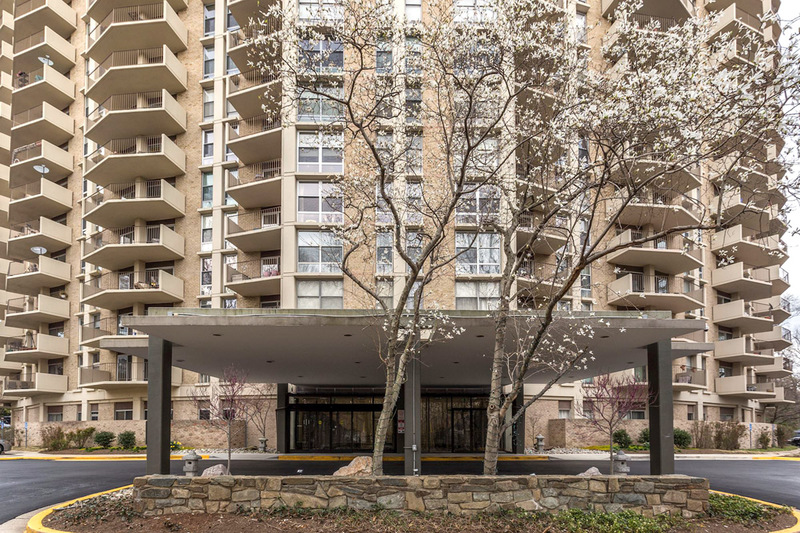 Parkside Plaza is a full-service condo community, providing its residents with luxury amenities including a 24-hour concierge, outdoor pool with grilling facilities, tranquil community garden, gym, sauna, complimentary rush hour shuttle to Metro, and ample unassigned parking. 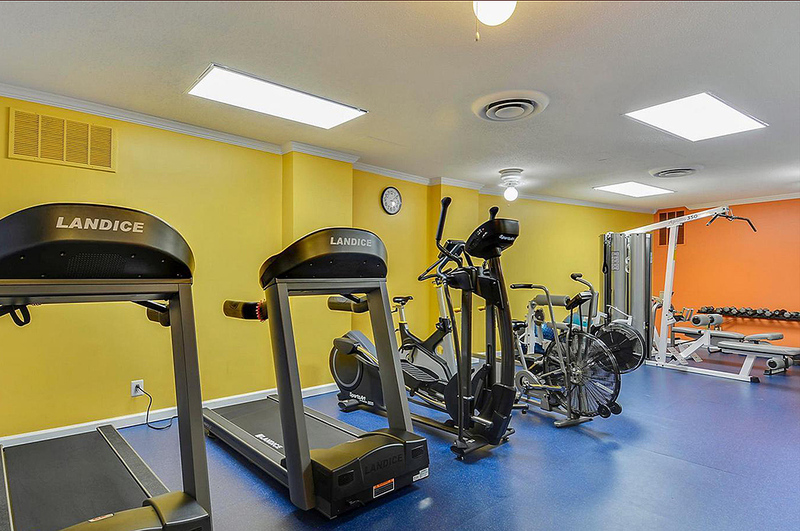 The condo fee includes all of these services PLUS utilities (except cable/internet) and extra storage. 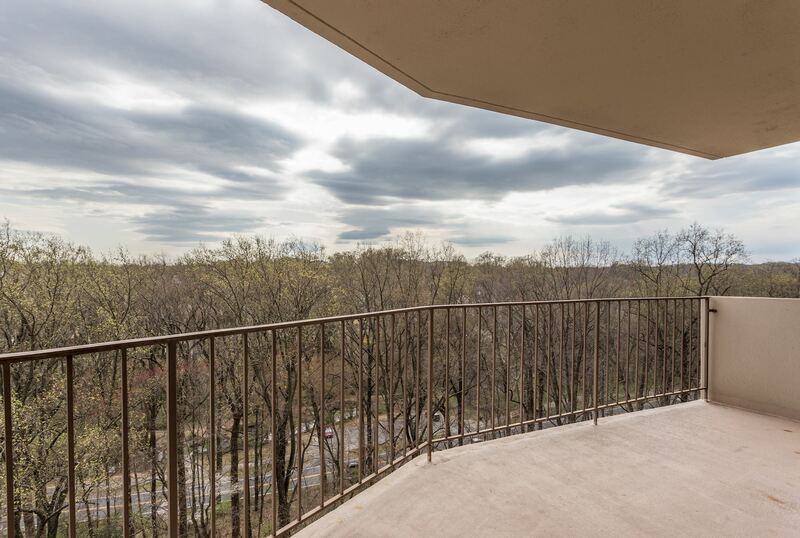 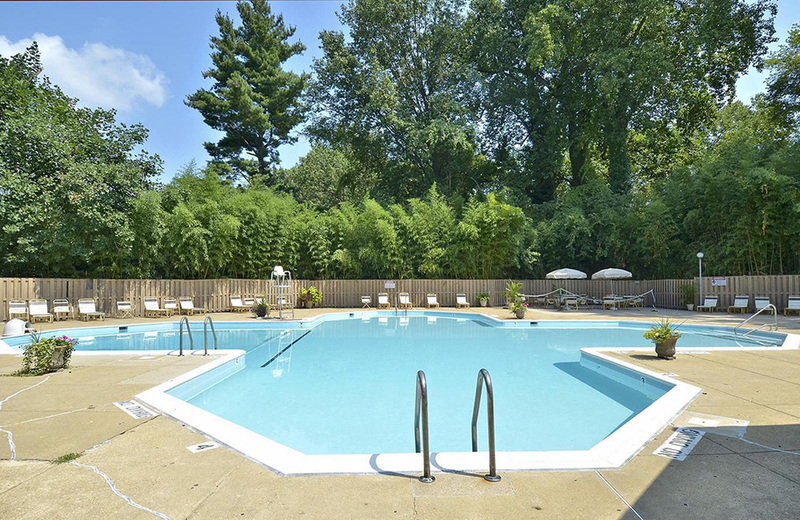 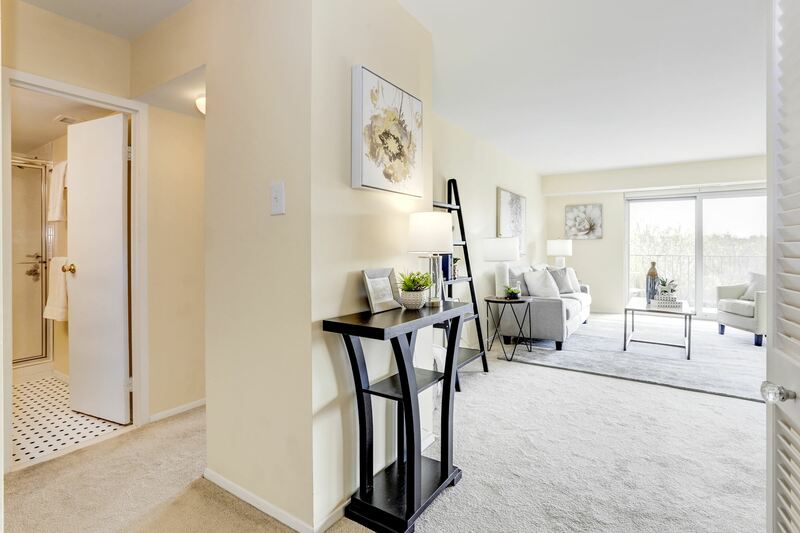 This condo offers the best of close-in living in a park-like setting, ideally placed near Metro, shopping, dining, and entertainment, with direct access to Sligo Creek Trail, minutes from 495 and other major arteries, and a short distance from 2 proposed Purple Line stations. 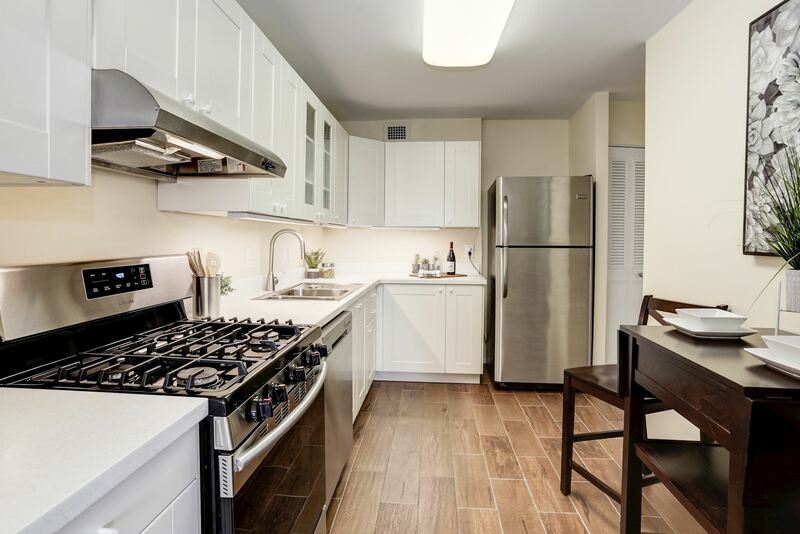 FHA & VA approved! 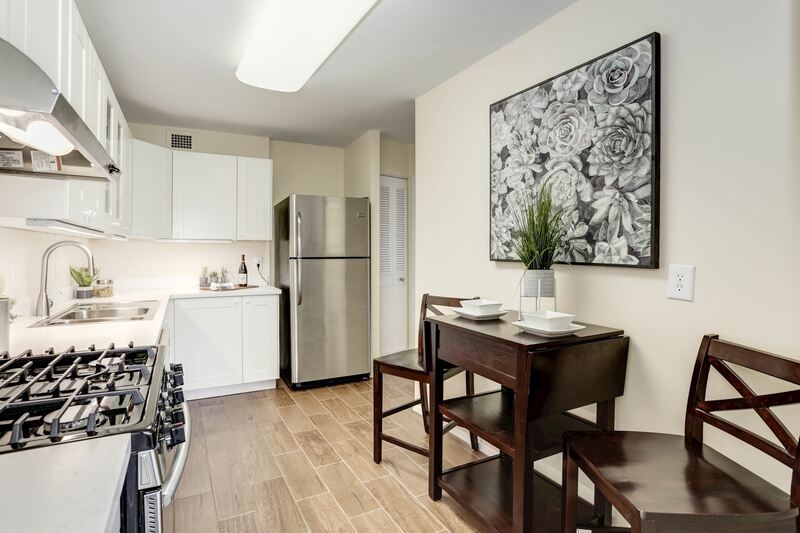 Contact us for more information on move-in fees, owner/investor ratio, rental policy, and more!